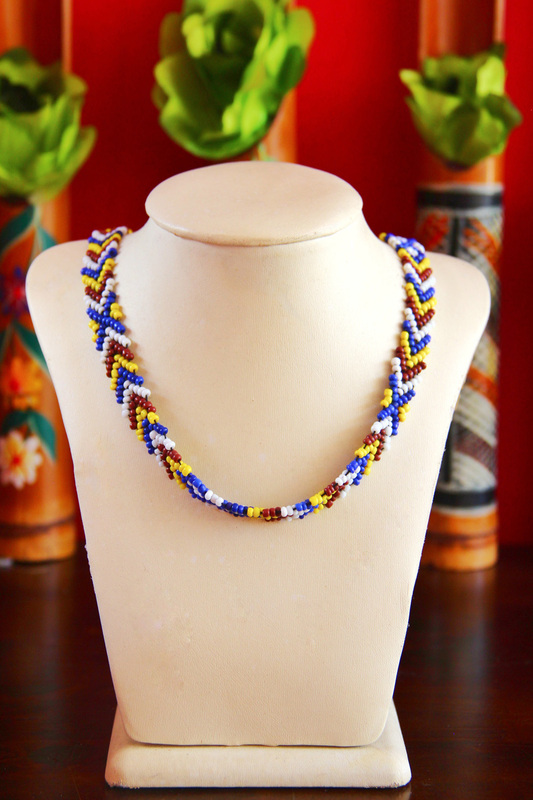 This bead-work is made by the Rungus women, residing primarily in northern Sabah in the area surrounding Kudat. 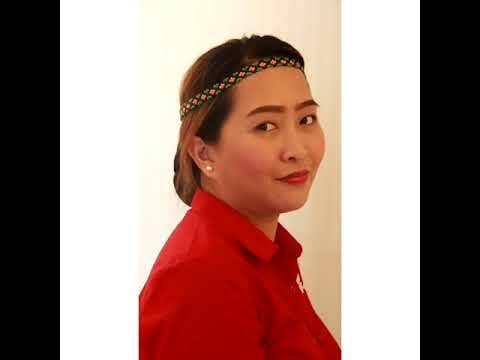 The beaded headpieces (sisingal), a thin band of beads strung together is tied around the forehead and can also be worn as a necklace. 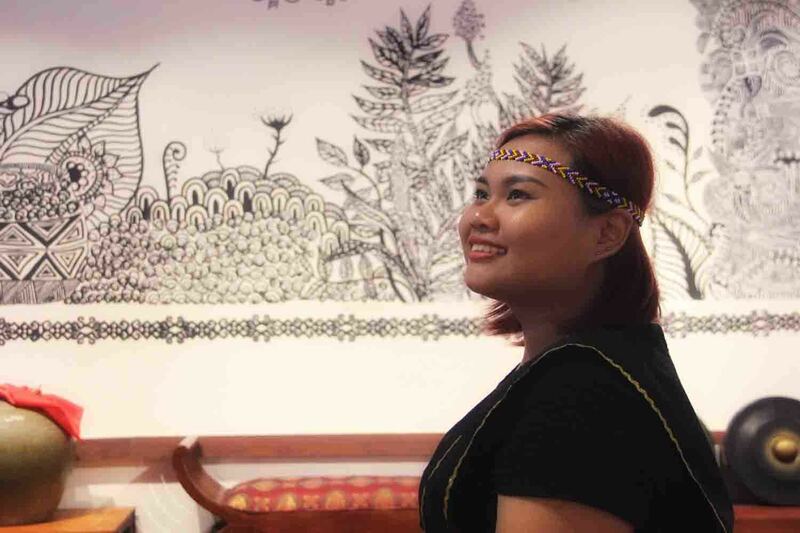 These bead-work and its designs easily distinguish the Rungus from the other ethnic group of Sabah. Their bead-work often tells a story and this one in particular tells of a man going spear-hunting for a riverine creature. Usually the pattern must follow ancient designs when worn with their costume.